Janka Nabay’s music was known throughout Sierra Leone. He had risen to prominence in the nineties, when he auditioned for a Liberian record company. They had left war torn Liberia, and moved across the border to Sierra Leone. With no roster, they set about auditioning local artists. One of the artists they auditioned at an open mic night was Janka Nabay. That night, he performed several traditional bubu songs. This captivated the owners of the record company, who signed Janka Nabay on the spot. 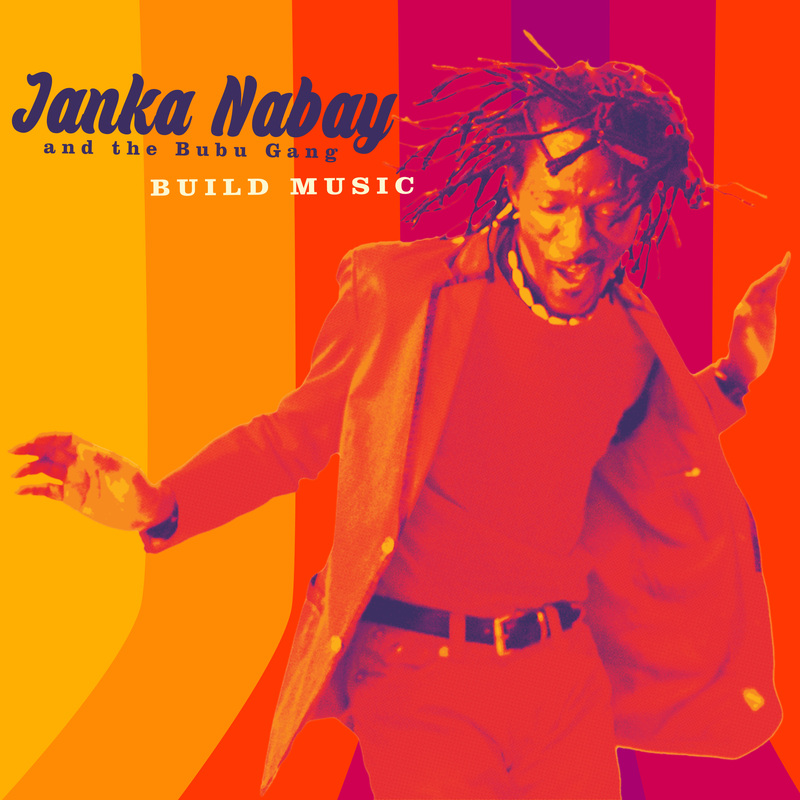 Before long, Janka Nabay was recording in Freetown’s only recording studio. That was where he set about single handedly modernised traditional bubu music. The basis for this new music was ceremonial procession music. Using a myriad of drum machines, samplers and bamboo bubu flutes, Janka Nabay transformed traditional bubu music into a new type of machine funk. This new genre proved popular throughout Sierra Leone. 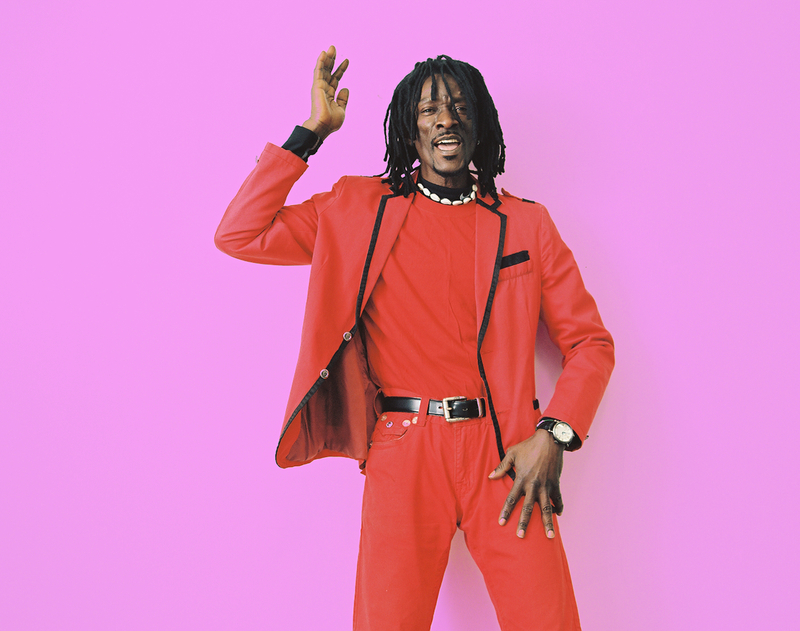 Janka Nabay was well on the way to becoming one of Sierra Leone’s most successful musicians. He was determined to use his music as a force for good, and addressed and examined the problems of war. Janka Nabay became a hero to many with Sierra Leone. They saw him as a musical revolutionary who provided a voice for the downtrodden and disenfranchised. Later, though, Janka’s music was misappropriated by the rebels. During the Civil War, the rebels began to use Janka Nabay’s tapes as a battle cry. It enticed people out of their hiding places. They were then captured or killed by the rebels. At one point, Janka was captured and held at gunpoint. He was only freed when he reluctantly agreed to perform for the rebels. When this happened, Janka began to think that the time had come to leave Sierra Leone. By 2003 though, Janka Nabay’s mind was made up. Sierra Leone was still a dangerous country. If he remained in Sierra Leone, his life was at risk. He had leave the country. So Janka Nabay began making plans to flea to America. When the day came, it was with a heavy heart that Sierra Leone left behind not just him home, but his family, friends and fame. He was leaving everything behind and making a step into the unknown. Janka Nabay was heading to America, where he would be an unknown and struggling musician. Nobody would know of his past life in Sierra Leone where he was one of the country’s top musicians. He would have to start again in the land of free. Little did Janka Nabay know that it would take him nine long years to rebuild his career with a new band. Eventually, in 2012, Janka Nabay and The Bubu Gang released their debut album En Yah Say on the Luaka Bop label. Critical acclaim accompanied the release of En Yah Say, and the followup was eagerly anticipated. Nearly five years later, and Janka Nabay and The Bubu Gang will release their sophomore album Build Music on the Luaka Bop on the ’24th’ March 2017. It’s the latest chapter in the Janka Nabay story. He’s come a long way since he arrived in America in 2003. Having arrived in America, Janka Nabay set about rebuilding his life and career in New York. He started off playing solo sets in the now defunct Brooklyn bar Zebulon. Soon, word was spreading about Janka Nabay and his music and local music fans began to seek him out. However, these gigs were low key affairs. It was going to take Janka Nabay time to rebuild his career. By 2010, was living in Philadelphia and working in fried chicken restaurant. He had released the EP Bubu King as Bubu on True Panther Sounds as Ahmed Janka Nabay. This was his first recording since arriving in America seven years previously. It was a far cry from when he was one of the most successful musicians in Sierra Leone. However, his luck changed when journalist, academic and filmmaker Wills Glasspiegel came looking for Janka Nabay. Chicago based Wills Glasspiegel had an impeccable musical pedigree. Previously, he had discovered South Africa’s Shangaan electro scene, and by 2010, was in the process of documenting Chicago’s footwork scene. Now he was turning his attention Janka Nabay. The story began when Wills Glasspiegel was listening to a box of tapes collected by a BBC journalist. Eventually, he came across a tape Janka Nabay had recorded in Freetown in the nineties. He was so impressed by the music, that Wills Glasspiegel decided to find out more about Janka Nabay and his music. Before long, he had discovered that Janka Nabay had emigrated to America and was working in a fried chicken restaurant in Philly. So Wills Glasspiegel made the journey to Philly where he met Janka Nabay for the first time. With a cultural tastemaker like Wills Glasspiegel batting for him, maybe Janka Nabay’s luck was about to change? Soon, Janka Nabay had put together a new band, The Bubu Band. This was the name of the band Janka Nabay left behind in Sierra Leone. Joining Janka Nabay in the initial lineup of The Bubu band were Syrian born singer and bassist Boshra AlSaadi and Jason McMahon of Chairlift. They began playing a few gigs. At first, they were low key affairs. This allowed the new band to hone their sound. Having honed their sound, Janka Nabay and The Bubu Gang spent a year touring America. It was a gruelling schedule, but allowed Janka Nabay and The Bubu Gang to perfect his modernised take on traditional bubu music. Over the weeks and months, Janka Nabay and The Bubu Gang became a popular live draw. Already, Janka Nabay and The Bubu Gang had starred at Tennessee’s Banner festival and played in New York’s prestigious Museum of Modern Art. They released their debut EP, An Letah in April 2012. The next logical step was releasing an album. It looked as if Janka Nabay and The Bubu Gang were one of the rising stars of the New York music scene. New York based Luaka Bop label spotted the potential of Janka Nabay and The Bubu Gang, and signed the band. In August 2012, Janka Nabay and The Bubu Gang released their debut album En Yah Say on the Luaka Bop label. Critical acclaim accompanied En Yah Say, and the followup was eagerly anticipated. Eventually, Janka Nabay and The Bubu Gang headed into the studio to record their sophomore album, Build Music. By then, the core group featured Janka Nabay on lead vocals; bassist and backing vocalist Boshra AlSaadi and keyboardist Michael Gallope. Other musicians, were drafted in to play augment the band. This included Chairlift’s Jason McMahon who plays bass on two tracks and percussion on I’ll Be Gone By Winter. When it came to recording the album, Janka Nabay used his tried and tested approach. This required the help of collaborators and studio engineers, as Janka Nabay has no musical training. Instead, he works intuitively, and explains what he requires musicians and engineers to do. This works, and eventually, the twelve new tracks that became Build Music were complete . Nearly five years after the release of their debut album, and Janka Nabay and The Bubu Gang will release their eagerly awaited and much anticipated sophomore album Build Music. It will be released on the Luaka Bop label on the ’24th’ March 2017 and marks the return of Janka Nabay and The Bubu Gang. Kadiatu which opens Build Music is a thirty-one second amuse bouche. Janka Nabay sings against just a lo-fi backdrop, where the occasional drum cracks and accompanies this joyous paean. Synths buzz, beep and squeak on Build Music. This is a just a curveball. As Janka sings: “Build Music,” the song explodes melodically into life. Drums crack and join with a guitar, keyboards and percussion in the multilayered arrangement. Still the synths squeak and beep while Janka is accompanied by soulful harmonies. By then, an irresistible genre-melting track unfolds. It’s soulful and funky with elements of Afro-beat and electro combining to create Janka Nabay’s trademark electronic bubu sound. Slow deliberate keyboards play on Santa Monica before a probing bass ushers in the rest of the band. A myriad of percussion and drums joins with Janka’s vocal. He’s joined by harmonies and soon, a searing guitar. It’s the bass that underpins the dance-floor friendly arrangement. Meanwhile, as percussion, keyboards and drums create an uber funky, multilayered backdrop for Janka and his backing vocalists. They feed off each other as they reach new heights of soulfulness, before reaching a crescendo. Bells rings and join percussion and drums on Popeneh 3, as the track bursts into life. Keyboards wheeze, beep and buzz as Janka adds an urgent, impassioned vocal. He’s accompanied by soulful harmonies, before a fleet fingered synth solo is added. Still, bells, percussion and drums are omnipresent, adding to the urgency, as the track unfolds at breakneck speed. They provide the perfect backdrop for Janka and the backing vocalists, who add a soulfulness to the urgency. When this is combined, the result is a dance-floor filler. Drums almost gallop along on Bubu Dub, as a melody is picked out on a retro synth. They’re joined by Janka and his backing vocalists as the arrangement builds. Stabs of keyboards, a rumbling bass and synths accompany Janka’s joyous vocal. Still, the retro synth provides a hypnotic backdrop. It sounds as if it belongs on the soundtrack to an early computer game. When, Janka’s vocal drops out, a blazing saxophone is added. Meanwhile, the retro synth is omnipresent as Janka sings: “my baby loves to dance, she loves to sing, and listen to the music all night long.” This he does against a pulsating, percussive and mesmeric backdrop. It’s soulful, funky and dance-floor friendly. Pounding drums are joined by washes of synths and a buzzing bass synths on Angbolieh. They’re joined by Janka’s heartfelt vocal and harmonies. Soon, keyboards, bass and guitar are added. So is a retro synth that floats melodically across the arrangement. It’s surrounded by buzzes, beeps, squeaks and a chiming guitar as drums pound and keyboards drone. Still, Janka’s vocal is impassioned and the harmonies sweet and soulful. Meanwhile, elements of Afrobeat, electro, funk and soul are combined by Janka Nabay and The Bubu Gang. They create a catchy, captivating and soulful slice of electronic bubu. As Game Ova begins to unfold, percussion, drums and a bass accompany Janka and his backing vocalists. The vocal is delivered with a degree of urgency, as synths squeak, beep and creak. When the vocal drops out, keyboards, synths and percussion enjoy their moment in the sun. At one point, there’s a slight Eastern influence as drums drive the arrangement along and the track continues to build.When Janka and the backing vocalists return, they supply the soul to this urgent, genre-melting track. It’s one of the highlights of Build Music. Sabanoh (Interlude) finds Janka singing soulfully, accompanied by a slow, thoughtful keyboard for thirty-three seconds. The main event is still to come. That is Sabanoh 2016. A pounding, pulsating drum and percussion join with Janka and his backing vocalists. They’re at their most soulful, as synths join with the rhythm section. They power the arrangement along while Janka adds a heartfelt vocal and harmonies reply to his call. Later, Janka’s vocal is left hanging, like an unanswered question on this contemporary sounding track that would light up any dance-floor. A chirping guitar, pounding drum, rattling percussion and bass open Stop Jealous. Janka delivers a tender, needy vocal, and is accompanied by harmonies. They prove the perfect accompaniment to his vocal. Later, a droning organ fires a warning shot across the arrangement. When it’s stripped bare, only the rhythm section and percussion remain. Then when Janka and the backing vocalists return, they add a soulfulness to a track where funk meets Afrobeat. This proves a potent and heady musical brew. Tek Lak la Gben ba Kun 3 has an understated arrangement, with Janka accompanied by a probing bass. The lyrics are akin to a stream of consciousness, as one minute he’s asking “do you love me,” while the next is remembering airlines past and present. There’s a surreal quality, to a track that’s sure to put a smile on your face. Closing Build Music is Combination. The bass plays and a guitar rings out and chimes, as Janka delivers a hopeful, heartfelt vocal. He’s joined by the backing vocalists who add to an already soulful track. Keyboards are added as a catchy, melodic and memorable reveals its secrets and subtleties. It seems that Janka Nabay and The Bubu Gang have the best tracks until last. Nearly five years after Janka Nabay and The Bubu Gang released their debut album, En Yah Say they return with Build Music. It will be released on Luaka Bop on ‘24th’ March. Build Music has been much anticipated, but is well worth the wait. Janka Nabay and The Bubu Gang return with a career defining album, where they continue to refine, hone and develop their electronic bubu sound. It’s a captivating fusion of Afrobeat, electro, funk and soul. This heady musical brew is Janka Nabay’s trademark electronic bubu sound. 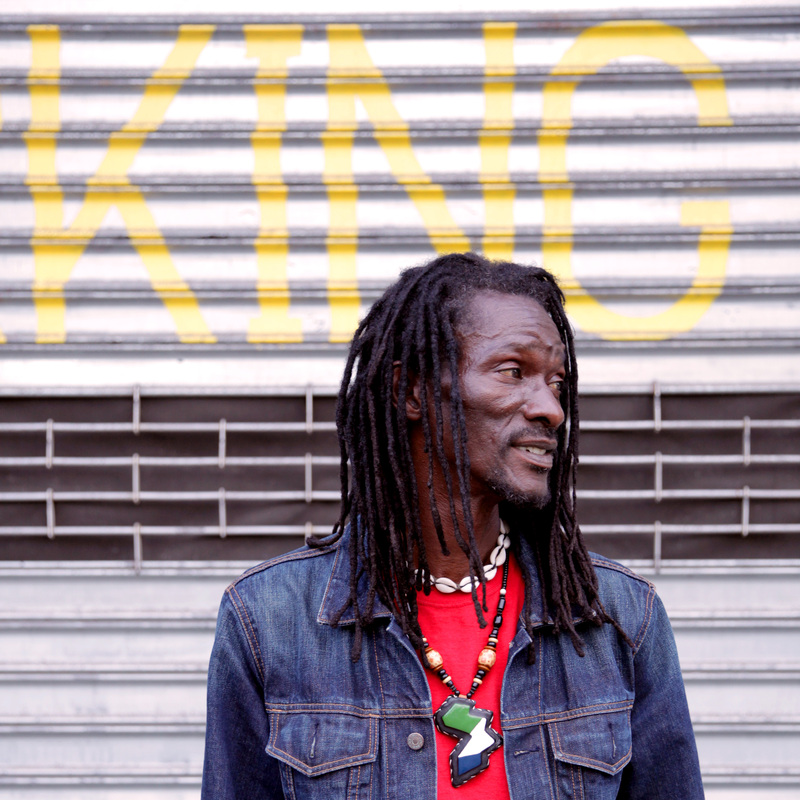 He’s spent a lifetime honing this sound, first in Sierra Leone and now in America. However, Build Music is a defining music in his career. The music on Build Music is funky, soulful and dance-floor friendly. Sometimes it’s captivating, catchy and joyous, and other times it’s melodic, memorable and even mesmeric. Janka Nabay and The Bubu Gang aren’t afraid to throw a curveball, as the music heads in a totally different direction. However, always the music returns to Janka Nabay’s trademark electronic bubu sound as he continues to rebuild his career. While Janka Nabay and The Bubu Gang were once one of the biggest names in the Sierra Leone music scene, nowadays, a new audience is discovering their music. However, Janka Nabay and The Bubu Gang’s much-anticipated sophomore album Build Music has the potential to be a game-changer. Build Music which is a career defining album could introduce a whole new audience to Janka Nabay and The Bubu Gang, and transform the fortune of the founding father electronic bubu. ← CHET IVEY-A DOSE OF SOUL-THE SYLVIA FUNK RECORDINGS 1972-1975.